Heed the playful call of California’s alpine majesty. TRUCKEE. Fuel up with omelets at teeny-tiny Squeeze In. Go for a family-friendly bike ride with Tahoe Mountain Guides, or explore backcountry trails at Donner Summit. SQUAW VALLEY (12mi; 20min). At High Camp, splash in a free-form heated pool at 8,200 feet. Get a massage at the Resort at Squaw Creek. Treat the kids to Shirley Temples at Plumpjack Café. SOUTH LAKE TAHOE (38mi; 1hr6min). Ride the Heavenly Mountain Resort gondola for Instagram-worthy views. Snack on waffle sandwiches at Red Hut on Lake Tahoe Blvd. BEAR VALLEY (105mi; 2hr47min). Take a family rock climbing lesson with Mountain Adventure Seminars. Fish in pretty Lake Alpine. 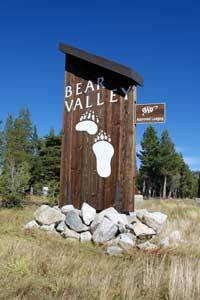 Enjoy Bear Valley Music Festival (late July to mid-Aug). LONE PINE (100mi; 1hr43min). Wind through the Alabama Hills (a favorite backdrop for Westerns). Visit the Beverly and Jim Rogers Museum of Lone Pine Film History. 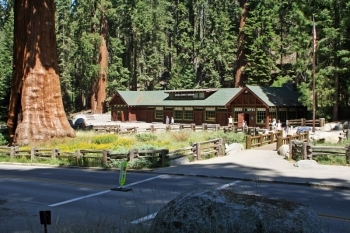 SEQUOIA NATIONAL PARK (278mi; 5hr7min). Visit fascinating Giant Forest Museum. Conquer 400 steps to the top of 6,725-foot Moro Rock (stargazing programs here in summer). WAWONA (157mi; 3hr 24min). Saddle up for a trail ride into Yosemite National Park. Relax at rustically elegant Wawona Hotel, built in 1879. YOSEMITE VALLEY (26mi; 52min). Pedal the valley on paved paths (rental bikes available in the park). See works by master photographers at Ansel Adams Gallery.